An arrhythmia, also called a heart arrhythmia or cardiac dysrhythmia, is a disorder of the heart that affects the rate/rhythm which the heart beats. However, while arrhythmias are common and often harmless, they can be problematic. An arrhythmia will interfere with the flow of blood in the body and it can damage the “brain, lungs, and other vital organs.” If left untreated, arrhythmias may even be life-threatening. Vitamin C — Since arrhythmia and other heart conditions are linked to “oxidant stress and inflammation,” antioxidants like vitamin C and vitamin E can help patients deal with these symptoms. Hawthorn — This herb is often used to treat palpitations. In ancient times, hawthorn was used to treat different conditions, like heart ailments. Now, some people use hawthorn to treat congestive heart failure. The herb can also help patients with an irregular heartbeat. Omega-3 fatty acids — Consuming fatty fish and other foods with omega-3 fatty acids can help lower the risk for heart disease. They can also help prevent arrhythmias. Eat at least two servings of fatty fish weekly such as salmon, mackerel, herring, sardines, and albacore tuna. Each serving may contain at least 3.5 ounces [oz.] of cooked fish. Magnesium and potassium — Magnesium and potassium will help keep the heart stable. A magnesium deficiency can cause “an irregular heartbeat, muscle weakness, and irritability.” But too much magnesium can cause bradycardia, dizziness, blurred vision, and breathing difficulty. Some patients may require treatment for angina or heart failure to help lower the risk of having an arrhythmia. Anti-arrhythmic drugs may be used to prevent an arrhythmia from recurring, and the drugs can keep the heart rate from being too fast or too slow. Do take note that some of these medicines may have side effects. An implantable cardiac defibrillator — Used on patients who are at high risk of sudden cardiac death. Cardiac ablation — Helps destroy areas of the heart that may be causing heart rhythm problems. Permanent pacemaker — This device senses when the heart is beating irregularly, too slowly, or too fast. A pacemaker will send a signal to the heart to make it beat at the correct pace. Did Cardiac Arrhythmia Inspire Beethoven’s Masterpieces? TOXIC WARNING: Fruit & Vegetable Stickers – Organic Makes Zero Difference! What is Heart Palpitation? 7 Remedies To Cure It Naturally! An arrhythmia is a disorder of the heart that affects the rate/rhythm which the heart beats. 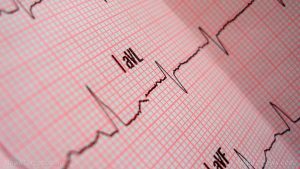 The symptoms of arrhythmia may be very mild, but they may also be severe or even life-threatening. The common symptoms that may occur when a patient has arrhythmia include chest pain, fainting, lightheadedness or dizziness, paleness. In some cases, arrhythmia can be a symptom of more serious underlying disorders, such as congenital heart disease, coronary heart disease, and heart valve or heart muscle abnormalities. Foods with the following nutrients can help prevent arrhythmia: vitamin C, hawthorn, omega-3 fatty acids, and magnesium and potassium. 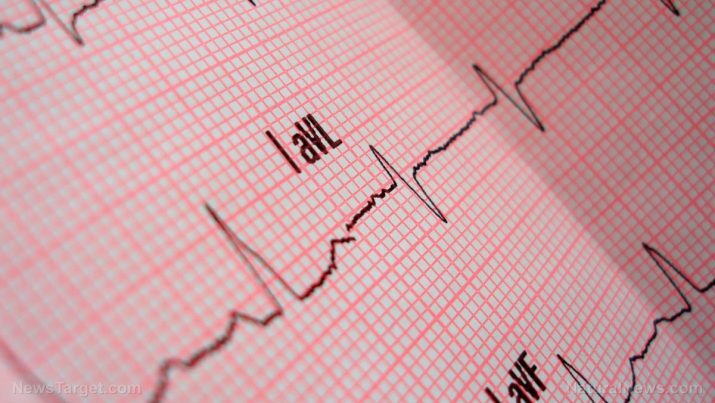 An arrhythmia that is serious may require urgent treatment to restore a normal rhythm. Treatment may include electrical “shock” therapy, implanting a short-term heart pacemaker, and medicines.